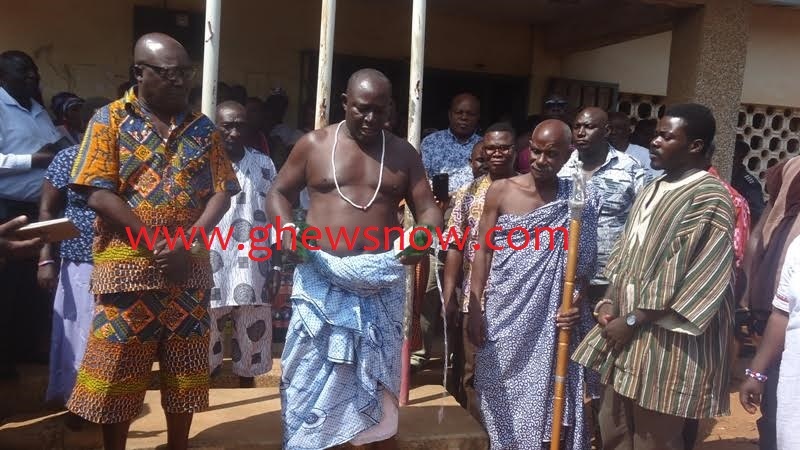 The priest for Gao of the Kpone Traditional Council has endorsed Nana Akufo-Addo and the New Patriotic Party (NPP), saying the ruling government must surely go for a more competent and decisive NPP government. In about ten minutes’ traditional prayer at the forecourt of the Kpone Traditional Council, Numo Tettey Lenu said that all things must work together for the victory of the NPP as they go into this year’s general elections. “The Almighty God and the gods can bear witness to the economic hardship their children are struggling to go through. 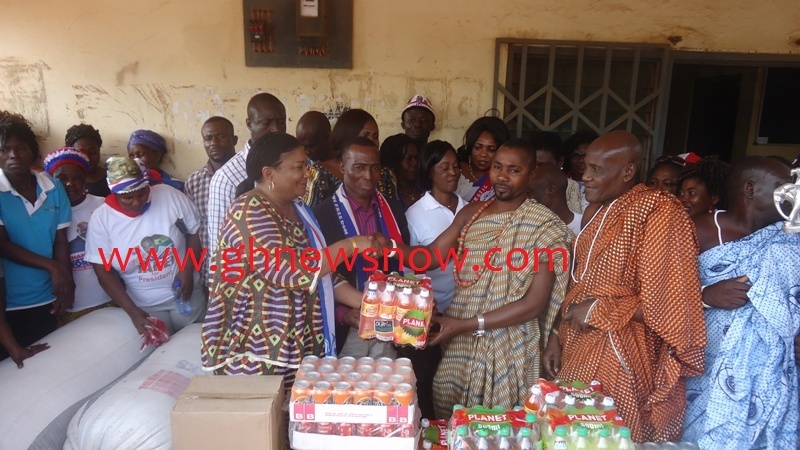 Your children, the NPP and Nana Addo, are going into a contest on December 7 and I pour this libation to seek for your blessings and victory for them,” Numo Lenu prayed. 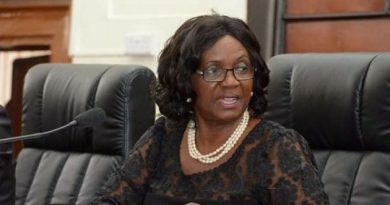 The Kpone Traditional Council’s priest’s prayer followed some items Mrs. Rebecca Naa Okaikor Akufo-Addo, wife of Nana Addo Dankwah Akufo-Addo, had earlier presented to the Council ahead of their Homowo celebration this week. Praying with power, he said any malevolent mouth that would rise against the NPP must incur the wrath of the gods while any kind mouth that would bless the NPP must be blessed too. He charged the supporters of the NPP to work hard, remain united and keep hopes alive as victory beckoned them as he prayed for good health and mercy for the NPP presidential candidate. 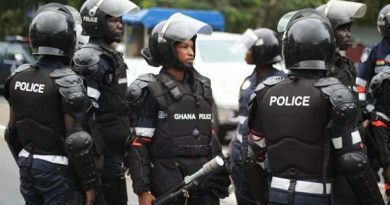 The items Mrs. Rebecca Naa Okaikor Akufo-Addo presented were a fat cow, GH₵1,000 cash, four huge bags of corn, two drums of palm oil and cartons of both alcoholic and non-alcoholic beverages. Making the presentation, Mrs. Rebecca Naa Okaikor Akufo-Addo told the Kpone Traditional Council that Nana Addo was ready to ensure that he put Ghana back on the accelerated economic path former President Kufuor bequeathed to the NDC in 2009. She reiterated her husband’s commitment to putting up a factory in every district of the country where the local people would be gainfully employed. Furthermore, she said an NPP government, with Nana Addo as president, would make education free “and that is a commitment and promise the NPP is still keeping. “Nana Addo thinks of the ordinary Ghanaian and so the NPP will restore all the dead social interventions and will relieve Ghanaians of the several taxes so that there will be more money in their pockets. “Give Nana Addo and Solo, your parliamentary candidate, your massive votes to help Ghana see its accelerated economic growth,” she campaigned. 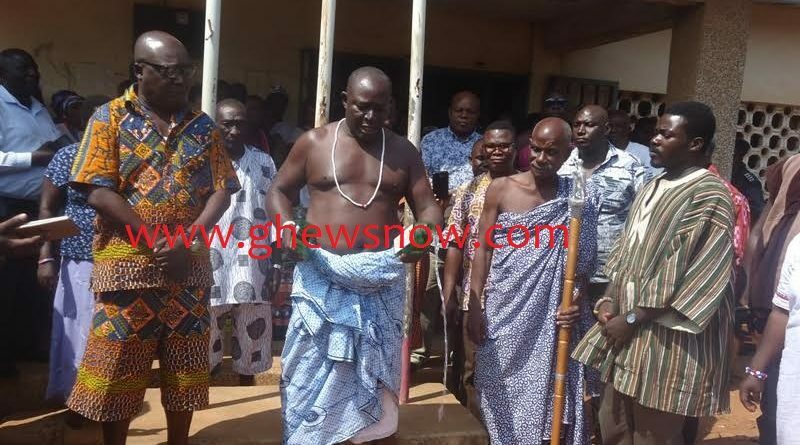 Receiving the items, Nii Ofosu Obli, Manklalo for the Kpone Traditional Area and second in-command to Nii Tetteh Otu, Paramount Chief for the Area, was thankful to his guests for the respect shown the Council. He praised the NPP in the area, especially Solomon Tettey Appiah, the parliamentary candidate, for calling the supporters of the party to order after some NDC supporters had secretly gone round to tear costly NPP posters and banners. “It is this sense of maturity we will urge you to carry along with you to tell the others that you are not what they preach you are. “Do not dance to their rhythm…continue to be the forbearers of democracy and remain tolerant to divergent views, and it shall be well with you and the peace Ghana is presently enjoying,” Nii Ofosu Obli concluded. Accompanying Mrs. Akufo-Addo to the Kpone Traditional Council were Solomon Tettey Appiah, NPP parliamentary candidate for Kpone-Katamanso, Agyei Sowah, NPP Greater Accra Regional Secretary, Alfred Boye, Regional First Vice Chairman, Nana Sipim, Kpone-Katamanso Constituency Chairman, David Quaye Annan and Samuel Evans Ashong Narh, both former Chief Executives of Tema.